Do you have Oil heat? Trust Holtzman as your local oil company for all of your home or business heating fuel needs. Our friendly and courteous employees deliver both #2 heating oil and kerosene. We serve all of our residential, commercial, and agricultural customers with competitive pricing, efficient delivery service, and a friendly, knowledgeable staff. Give us a call at 540-477-3131 or 800-628-0379 for more information. Our business hours are 7:00 am - 5:00 pm Monday through Friday. Holtzman Oil's fleet of straight trucks deliver bulk fuels quickly and courteously to businesses, industries, farms, and construction sites. Our trucks are dispatched from three bulk plants in Virginia--Mt. Jackson, Leesburg, Luray, and Moorefield, WV. Tanks and pumps are offered for convenient use of our products at your business or location. We take great pride in being able to deliver competitively-priced residential, commercial, and industrial oil service all while offering exceptional customer service. Automatic Fill customers do not have to worry about checking their tank. Holtzman Oil uses the Degree Day System, which is based on weather conditions, customer usage, and tank size, to calculate when a tank needs fuel. We usually refill a tank when it is between 20% and 30% full. Our sophisticated system re-evaluates your usage and projected delivery dates each time a delivery is made, so the system is constantly improving. There is no additional charge or after hours fee with Automatic Fill. If you find yourself out of oil, we have on-call drivers available 24/7 who will come out, fill your tank, and contact a service technician to restart your oil furnace or kerosene stove. Automatic Fill customers receive 5¢ off per gallon! We also offer a Will-Call service for customers who prefer to keep track of their oil gauge themselves. Will-Call customers pay the regular price per gallon.We require a minimum delivery of 150 gallons. We will deliver 100 gallons only if our driver is in your area. If you are a Will-Call customer and require same-day delivery, you may be charged a $150 fee if the driver is not in your area. If you require delivery after business hours, weekends, or holiday, a $150 service charge will apply. Budget payment is available to our customers who are on Automatic Fill. With this option, customers are able to pay a percentage of their bill each month, rather than upfront. The Pre-Buy payment option is available to our Will-Call and Automatic Fill customers. With Pre-Buy, customers can purchase their fuel in the summer and fall, when prices for oil are generally lower. Please contact us at 540-477-3131 or 800-628-0379 if you have any questions, want more information, or would like to set up service. We use #2 Heating Oil for heating homes we service as it is the standard oil for residential heating in the United States. 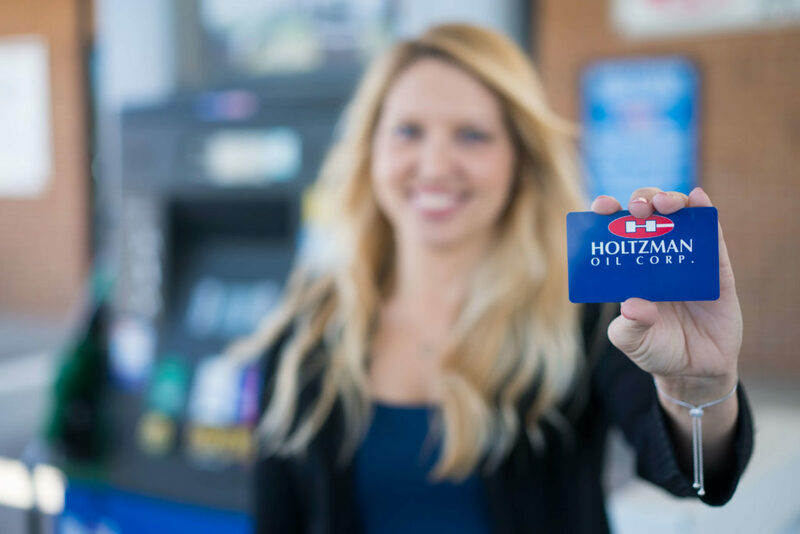 The Holtzman Fuel Card is a card system that provides new capabilities and more security for our retail charge customers. The Fuel Card can be used at any of our 150 gas station locations. The Fuel Card is more convenient to use than cash or other credit cards. With it you receive a convenient, itemized monthly statement that tracks your expenses clearly, making reconciliation easy! You get an AUTOMATIC 3¢ DISCOUNT on every gallon of gas you purchase with this card! Should you need additional cards, want to restrict a card for certain use, or even need a more descriptive report for purchases, just let us know. We're more than happy to accommodate you. To have an application sent to you, please call 540-477-3131 or 800-628-0379, or click below to download one to fill out. You can print it off at home and mail your completed copy to one of our offices. If you have any questions, please don’t hesitate to call us or stop by one of our offices in Strasburg, Mt. Jackson, or Luray! Below are some of the forms you may need for Holtzman Oil. You can save the files on your computer by downloading them to your hard drive - right click and save target as. Propane is one of the most versatile, high performing products offered on the market today. Propane can be used to power your furnace, hot water, clothes dryer, your oven, outdoor lighting, and much more. It is a very efficient, clean-burning fuel available for many residential and commercial applications. Whether you’re looking for information about our propane delivery options, product offerings, or customer information, replace, add, or maintain your gas system, our highly-trained service and installation department is ready and willing to exceed your expectations. 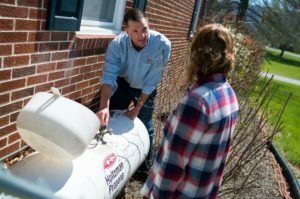 Holtzman Propane takes great pride in being able to deliver competitively-priced residential, commercial, and industrial propane service, while maintaining our constant focus on exceptional customer service. We offer several different programs and payment options to satisfy our customers’ needs. Our Automatic Fill plan tailors our delivery schedule to your household’s usage and needs, allowing you to focus on things other than monitoring your propane tank. We use the Degree Day Forecasting System to monitor your propane usage. The system uses information on daily weather conditions, your tank size and estimated usage to come up with a delivery schedule. Deliveries are targeted when your tank is between 10%-20% full. Our sophisticated system re-evaluates your usage and projected delivery dates each time a delivery is made, so the delivery system is constantly improving. The best part is Automatic Fill customers save 5 cents per gallon on each delivery! In addition to this, Holtzman Propane has on-call delivery service year-round if you find yourself out of fuel. Our answering service will contact the on-call driver and the driver will contact you. We take all out-of-gas situations very seriously and an in-house investigation is done to determine the reason. The on-call driver will fill your tank, perform a leak test, and then re-light your appliances. Should an automatic customer run out of fuel, there are no after hours delivery fees, and our drivers will respond promptly. Get an additional 5¢ Off Per Gallon when you sign up for our Budget Payment Program! Our Budget Payment Plan allows you to pay for your propane fuel per month, not per delivery. We will calculate your estimated annual usage and come up with predictable monthly payments that eliminate the unwelcome surprise of a large fuel bill. By enrolling in our Budget Payment Program, you’ll get our 5¢ discount off every gallon of fuel, too! Pre-Buy allows you to purchase your fuel prior to the winter months when prices are historically lower. For more information, to set up service, or if you have any questions, call us at (540) 477-4450.
and the following counties in West Virginia; Berkeley, Grant, Hampshire, Hardy, Jefferson, Mineral, Morgan and Pendleton. Holtzman Propane offers a wide variety of propane products and options. Keep reading to find out more! Please contact us at 540-477-4450 or 888-306-4243 if you have any questions, want more information, or would like to set up service. 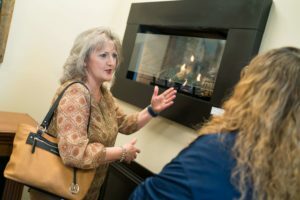 We sell an extensive line of propane fireplaces, inserts, heaters, and hot water heaters. We also specialize in the installation and service of high-quality, gas-powered appliances. We are proud to offer product lines from Empire, Navien, and Rinnai. Our HVAC team can provide expert installation to meet all of your Heating and Air Conditioning needs. If you are interested in our services, please visit our HVAC page. Holtzman Propane is the propane dealer you can depend on. Our commercial and industrial clients rely on our prompt deliveries and complete dedication to customer service. Our propane is used in multiple commercial and industrial settings including building constructions, filling stations, restaurants, hotels, schools, vehicles, and forklifts. Since 1997, Holtzman Propane has provided for the propane gas needs of the American farmer. We understand today’s agricultural business, and we work directly with you to meet your unique needs. From brooder house heating to livestock confinement, crop drying to tobacco curing, flame weeding to fuel for farm equipment, our trained professionals can help design a propane system for your agribusiness, no matter what your need is. Autogas is the use of propane as automotive fuel. It’s cleaner than conventional automotive fuels, with about 20% less ozone forming potential, 15% lower greenhouse gas emissions, and up to 80% less toxic emissions. In order for a vehicle to run on autogas, the engine needs to be converted first. All gasoline-fed automobile and 4-stroke motorcycle engines can be converted into autogas. There is no modification in the system, but installation of gas injectors, vaporiser unit, engine control unit and fuel tank is needed. Once done, these vehicles can run either on gasoline or propane (or bi-fuel vehicles). We strive to provide the highest level of customer satisfaction to our builder partners and their customers. When you choose Holtzman Propane, you will work with the most experienced and knowledgeable staff in the industry. We offer a wide variety of products and services to meet your individual needs. Make us your one-stop-shop for high quality propane appliances and full-service installation, including gas lines. Make it easy with Holtzman Propane! A fee consisting of 50% of the last price paid for the fuel in tank will be charged to cover restocking fees. * Holtzman Propane, LC reserves the right, starting January 1, 2017 and continuing on January 1st of each year thereafter, to increase the then-existing closeout fee by $3.00. If Holtzman Propane, LC exercises such right on any such January 1st date, the new closeout fee, which would be in place until changed by Holtzman Propane, LC as set forth herein, shall then be shown on this website. The failure of Holtzman Propane, LC to exercise this right on one or more occasions on or after January 1, 2017 shall not affect its right to thereafter exercise such right (without limit as to the number of times). CUSTOMER/LESSEE shall pay closeout fee in effect on date of removal of tank(s) and/or equipment. Why should your friends and family choose Holtzman Propane? We’re a community-minded, family owned company invested in providing great products and services to our community. Transparent Pricing: We print the price per gallon on EVERY delivery ticket, and we don’t believe in introductory pricing that rewards newcomers at the expense of longtime customers. We keep our fees low: We charge a minimal flat fee on each delivery instead of the $9-$20 other companies add on. We’re A Full-Service Supplier: We offer Propane Appliance installation, service, and repair. Competitive Pricing: Our buying power and careful purchase planning allow us to deliver to you at the best price possible. you and your referral will both get a $50 credit! Call us today at 540-477-4450 or 888-306-4243 to find out more! Below are some of the forms you may need for Holtzman Propane. You can save the files on your computer by downloading them to your hard drive - right click and save target as. 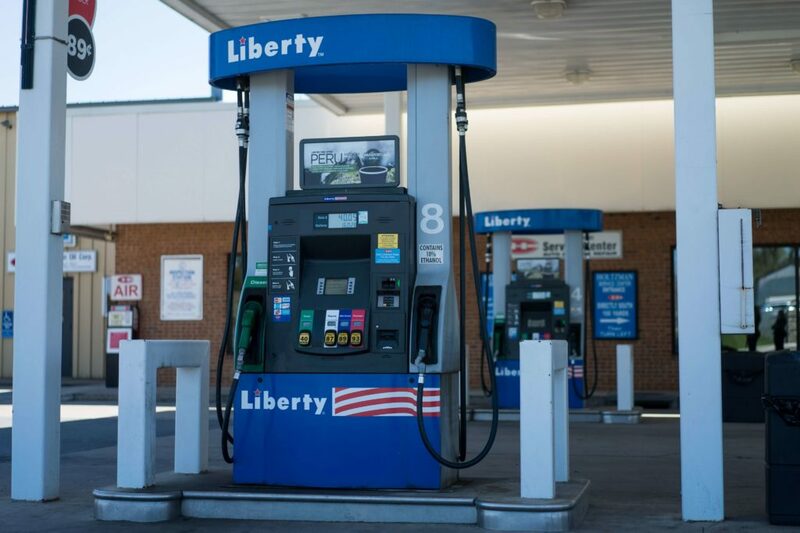 Holtzman Oil is a proud gas supplier to over 150 stations throughout the Shenandoah Valley, Northern Virginia, West Virginia, and Maryland. Our brands include Liberty, ExxonMobil, Shell, and Pure. 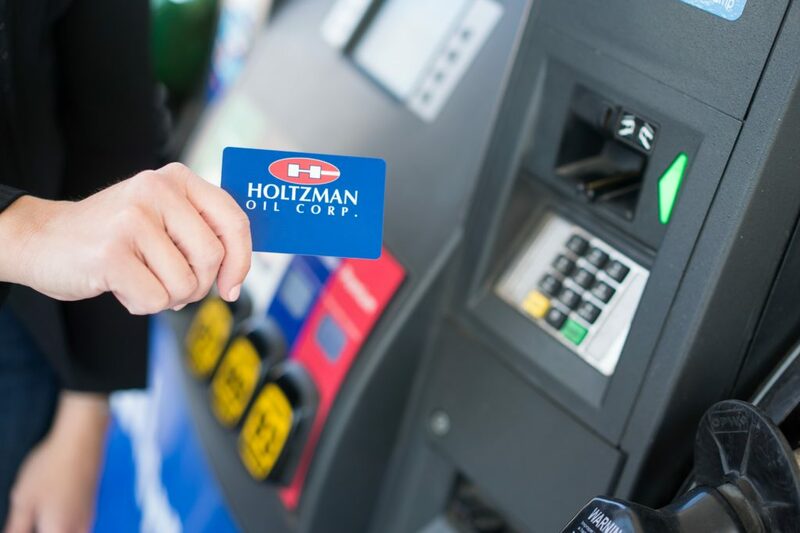 The Holtzman Fuel Card is a card system that provides new capabilities and more security for our retail charge customers. The Fuel Card can be used at any of our 150 gas station locations. Holtzman is proud to offer Biodiesel, our diesel fuel equivalent. This fuel source is cleaner burning and better for the environment than traditional diesel. We have B100 Biodiesel at our three bulk plants in Mt. Jackson, Leesburg, and Luray. We can make any blend necessary to accommodate our customers’ needs. We also offer a B5 blend at several of our retail locations. We package Biodiesel in drums and pails. We also make bulk deliveries. Call us today to learn more about Biodiesel, or visit their website to learn more. Holtzman Corp. is a full-service lubricant distributor, Chevron 1st Source Lubricants Marketer and JAX Food Grade Distributor. 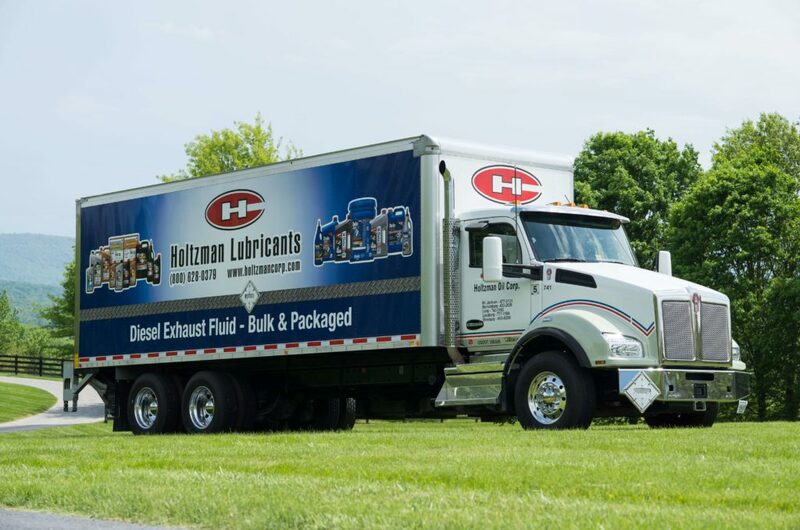 We supply a complete line of lubricants in all package styles, as well as bulk deliveries to all types of business and industry in Virginia, West Virginia, Pennsylvania and Maryland. 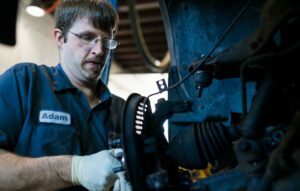 Through Holtzman you get technical support, lube surveys and recommendations, lubricant equipment, oil analysis, and 24-hour service. A Certified Lubrications Specialist is on staff to answer questions and serve your needs. Diesel Exhaust Fluid is a high-quality urea solution that is easy to use.DEF is 32.5% solution of high-purity urea in de-mineralized water that is used with the Selective Catalytic Reduction system (SCR) to reduce emissions of nitrogen oxides (NOx) from the exhaust systems of diesel vehicles in the USA. DEF is a clear non-hazardous liquid. It is not a fuel, or fuel additive and needs to be filled into a dedicated DEF tank which is on your diesel vehicle. It is replenished in a similar way to refueling diesel. Should you spill Diesel Exhaust Fluid (DEF) on your hands, simply wash it off with water. Click for a Diesel Exhaust Fluid MSD for the USA. Find your nearest Diesel Exhaust Fluid USA supplier from Air1. Diesel Exhaust Fluid (DEF) - How much do I need? Average consumption of Diesel Exhaust Fluid is generally 3% per gallon of diesel fuel, so you will need to tank much less for DEF then you do for diesel fuel. 2.5 gallons of Air1 Diesel Exhaust Fluid will yield over 350 miles of travel. Diesel Exhaust Fluid cost depends on the volume of your usage and the DEF package that you order. Contact us for a Diesel Exhaust Fluid price today. DEF needs to be protected from extreme temperatures. Diesel Exhaust Fluid's freezing point is at 12 degrees Fahrenheit (-11 Celsius). When DEF thaws, the product will retain its initial quality and vehicles will remain operational throughout the DEF tank thawing process. DEF should be stored in a sealed package, in a well-ventilated storage area. Why should I choose Selective Catalytic Reduction (SCR) with Diesel Exhaust Fluid (DEF) over other technologies? DEF combined with Selective Catalytic Reduction (SCR) offers you a fuel-efficient solution, with lower CO2 emissions than other competitive solutions to adhere to the EPA Clean Air Act. Most North American truck manufacturers offer SCR equipped models to meet these regulations. SCR is a proven technology to reduce nitrogen oxide, that brings diesel vehicles and fleet owners a payback with low maintenance and greater fuel economy. Diesel Exhaust Fluid (DEF) - does quality matter? DEF is a very pure product. Any contamination will affect the quality of the DEF, and this may cause your catalyst to need expensive repairs . To prevent contamination, it is imperative that foreign materials do not come in contact with the DEF solution. Use dedicated Diesel Exhaust Fluid tanks and dispensing equipment. In the USA, DEF from Air1 is certified by the American Petroleum Institute (API) to ensure DEF quality standards are maintained in accordance with ISO 22241 (ISO-22241-1, ISO-22241-2, ISO-22241-3) specifications. Buying Air1 Diesel Exhaust Fluid is a guarantee of the correct specification required for your SCR technology. As a Chevron 1st Source Lubrication Marketer we are held to a higher standard. We are your 1st source for value that goes beyond the product line. We’re an ally, who’s ready, willing, and able to contribute to our customers’ long-term profitable growth. Partner with us and let us be your Total Fluid Solutions provider. In addition to being a leader in regional oil and gas distribution, Holtzman Corp. also offers other services, from restaurants, to an auto service center, a full HVAC service company for your home or office, and a bagged ice distribution company named Valley Ice. Click through below to learn more! Holtzman Transport's fleet of trucks operate 24/7 all year long to deliver gasoline, diesel, kerosene, heating oil, propane, and bulk lubricants to our customers. We pick up and deliver products to gasoline stations, bulk fuel storage plants, and our commercial customers.Our trucks share the highway with the motoring public, and we are proud of the professional, safe, and courteous drivers that operate our equipment. In 1990, we started Holtzman Equipment and Construction to install and service our retail and commercial petroleum equipment and sites. Our trained team can service and repair equipment at all of our fuel locations. Our construction team is responsible for the site work and construction of all of our new retail locations. In addition to having an internal construction company, in 1996, Holtzman Equipment and Construction formed an EPA certified, Level B Hazardous Materials Response team. This team’s aim was and is to respond efficiently and effectively to any reported and unexpected fuel releases or spills at any of our retail locations, bulk fuel plants, on the road, or anywhere in between. Our HazMat Spill Response Team is highly trained in fuel recovery procedures and hazardous materials handling, to ensure the health and safety of our patrons, our community, and the environment. Holtzman Service Center is located behind our main office in Mount Jackson, Virginia. 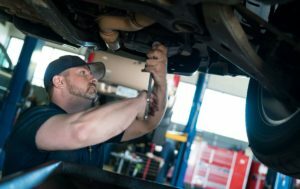 Trust our trained technicians to inspect and service just about any vehicle. Our hours of operations are 7:00 a.m. to 5:00 p.m. Monday through Friday and 7:00 a.m. to 12:00 noon on Saturday. Valley Ice is a bagged ice manufacturing facility located in Mt. Jackson, VA. Valley Ice distributes bagged ice commercially, primarily to convenience and grocery stores, as well as other industrial and commercial facilities in Virginia, Maryland, and West Virginia. Our 16,000 sq. ft. state-of-the-art ice manufacturing facility has the ability to produce 60 tons of ice per day. That's 1,200 lbs of ice every 18 minutes! Valley Ice meets stringent regulations set in the industry for quality, under the International Packaged Ice Association. Our facility has a commercial-grade Reverse Osmosis system, which removes all traces of mineral content or impurity from the water and enables the water used in our ice to meet bottled water quality standards. Visit the Valley Ice website for more information! Holtzman is here for all your residential and commercial HVAC needs.We install and service furnaces, water & steam boilers, air conditioners, heat pumps, dual fuel systems and ductwork as well as a range of home comfort air quality components. From whole home humidifiers and air filtration systems, to ultra-violet lights and programmable thermostats, we've got something to help you. Call us today at 540-465-9200 or 888-306-4243 for a free estimate or email us at crager@holtzmancorp.com. Holtzman Heating & Cooling carries a full line of quality Heil® Gas Furnaces, Air Conditioners, Heat Pumps, Fan Coils & Oil Furnaces. After providing good food and quality service for more than 50 years, Denny’s is one of the most recognized names in family dining today. Denny’s restaurants offer a casual dining atmosphere and well-priced meals served 24 hours a day at most locations. Denny’s is best known for its breakfast, served around the clock, including the popular Meat Lover’s Breakfast and Original Grand Slam®. The lunch and dinner menu are also increasing in popularity with a variety of crave-able burgers, sandwiches, salads, appetizers, and desserts. Denny’s also has specialty menus for health-conscious guests that feature low-fat offerings. We offer special-priced options to children 10 and under and customers 55 and over. In addition, Denny’s offers free refills on coffee, tea, soft drinks, and lemonade. Holtzman has three locations to serve you--Mt. Jackson, Strasburg, and Warrenton, VA. In our continuing effort to improve our operations and service, let us know what you think. Give us a call at (540) 477-2103 or email us at gdellinger@holtzmancorp.com. © 2019 Holtzman Corp. All Rights Reserved.